The Mormon Tabernacle Choir is now officially on Spotify. The latest release, O Come, Little Children, was recorded live during the 2016 Christmas concert with the Orchestra at Temple Square and guest artist Rolando Villazón. 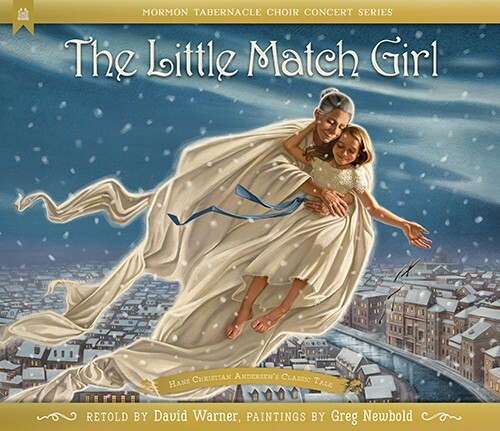 Originally written for the narration of the Mormon Tabernacle Choir’s 2016 Christmas concert, David Warner’s hope-filled adaptation of Hans Christian Andersen’s “The Little Match Girl” comes to life in this new children’s book beautifully illustrated by Greg Newbold. Just released on CD, the Choir’s new recording He Is Risen adds uplifting, hopeful music to your Easter holiday celebration. With such classics as “Christ the Lord Is Risen Today,” “When I Survey the Wondrous Cross,” and “He Is Risen,” this CD adds a dimension to your sacred remembrance of Jesus Christ, His life, and His pure love for all of the family of God. The song “Home on the Range” conjures up thoughts of the Wild West, cowboys, and cattle drives. It’s the official state song of Kansas and the unofficial song of the old western lifestyle. With that in mind, many are surprised to find out that an ear, nose, and throat doctor from Iowa actually wrote the original lyrics to the song. In the great tradition of Mormon Tabernacle Choir Christmas concerts comes Home for the Holidays featuring renowned British tenor Alfie Boe, the Choir, Orchestra at Temple Square and Bells on Temple Square. This recording and DVD of the spectacular 2012 Christmas concert goes on sale October 15, 2013. Every holiday collection will want this memorable recording. New Homeward Bound CD on sale now! 360 voices. 150 musicians. 1 baritone. All of them star quality. New Choir Album Prompts Contest for "Greatest Teacher"
The Mormon Tabernacle Choir’s newest album, Teach Me to Walk in the Light and Other Children’s Favorites, prompted Deseret Book, distributor of the Choir’s recordings, to create a contest for the “Greatest Primary Teacher in the World.” (Primary is the class for children in Sunday services of The Church of Jesus Christ of Latter-day Saints). People submitted nominations to Deseret Book stores and on line for their greatest teacher. The Mormon Tabernacle Choir and Deutsche Grammophon, one of the leading classical recording labels in the world, announced today that they will collaborate on a recording to be released on the Deutsche Grammophon label. 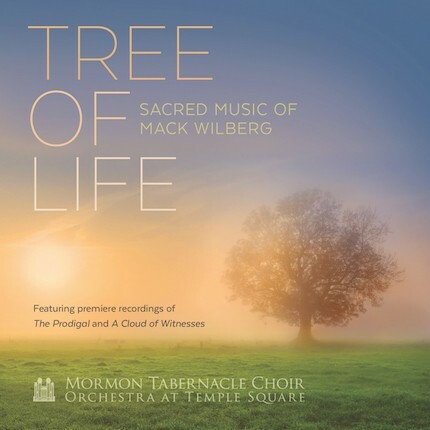 The CD, slated for release worldwide in September 2013, will feature the Choir; its companion ensemble, the Orchestra at Temple Square; and internationally acclaimed baritone Bryn Terfel.